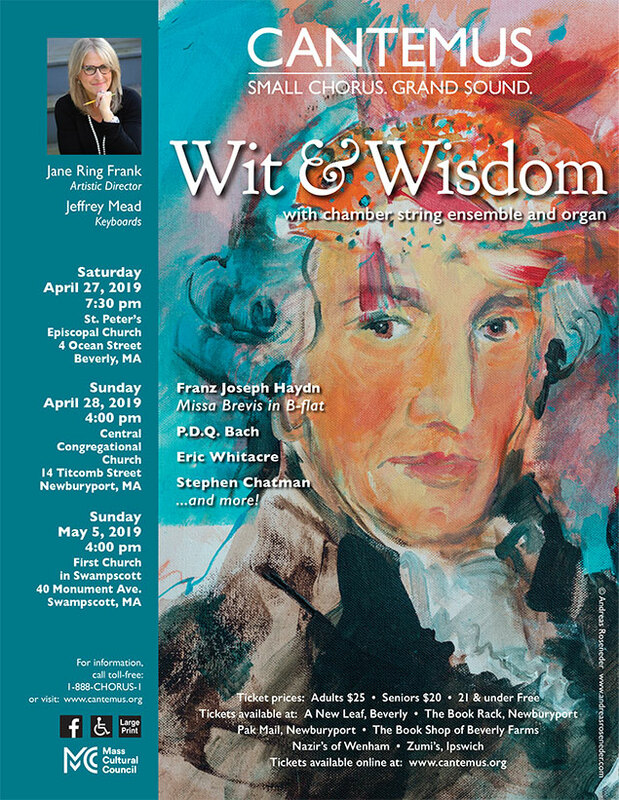 (April 8, 2019) —Cantemus Chamber Chorus is offering a block of free tickets to their upcoming spring concert, “Wit and Wisdom”. A limited number of free ticket vouchers are available for residents of Beverly, Ipswich and Newburyport at the following locations: the Beverly Public Library and the Beverly Senior Center; the Ipswich Public Library and the Ipswich Senior Center; and the Newburyport Public Library reading room and the Newburyport Senior Center. The tickets are funded by grants from the Beverly, Ipswich and Newburyport Cultural Councils, local agencies of the Massachusetts Cultural Council. Accompanied by a chamber string ensemble and organ, Haydn’s mini-masterpiece, Missa Brevis, sits at the heart of a program which also features works of humor, parody and charm by P.D.Q. 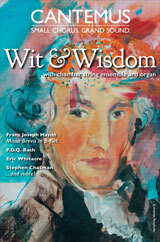 Bach, Eric Whitacre, Stephen Chatman, and more! A 45-member chorus of experienced singers, Cantemus is known for its theme-based, eclectic programs, performed with artistic and technical mastery.